How do I take ATP Extreme? Simply take 4 capsules 30 minutes prior to training or competition. Preferably on an empty stomach. What Benefits Will I Get From ATP Extreme? *Based on results from published double-blind study. Individual results may vary. **Based on in-house study. Individual results may vary. How fast will I see results with ATP Extreme? What type of athlete will benefit most from ATP Extreme? Since ATP Extreme impacts ALL ASPECTS of athletic performance, it is one of the few supplements available that is beneficial for ALL ATHLETES IN ALL SPORTS. There is no athlete in any sport who trains hard that will not experience faster gains and improved performance from ATP Extreme. We GUARANTEE it! How does ATP Extreme actually work? ATP Extreme provides two physiological benefits to athletes. These benefits result in greater endurance and training capacity AND improved muscle and strength building. If I am a weight sensitive athlete, is ATP Extreme still a good option for me? YES. How much muscle you gain depends highly upon caloric intake. If you want to get stronger and more powerful without putting on a lot of weight, just keep your calories under control. It’s as simple as that. I want to put on mass quickly, is ATP Extreme still a good option for me? YES. If you want to put on mass as quickly as possible, we recommend combining ATP Extreme with creatine and increased caloric intake. This combination should help you put on mass very quickly… assuming that you are training hard enough to actually build muscle. Is there anyone who does NOT get good results from ATP Extreme? 1. If you do not train hard and push your body to its limits, you will most likely not notice much benefit from ATP Extreme. (Ex. Not training to failure, not lifting heavy enough weight to stimulate muscle growth and strength gains, not training at high intensity.) ATP Extreme is for serious athletes with serious goals. If you are looking for a magic pill to give you tremendous gains without having to do any work, ATP Extreme is not for you. 2. If you are on a LOW CARB DIET, you will not get as good results from ATP Extreme. We have found that having carbs in your system is crucial to getting good benefits from ATP Extreme. If you have questions on this, do not hesitate to call us. Are there any secrets to help me MAXIMIZE the benefits I get from ATP Extreme? So here’s the deal… When taking ATP Extreme, you will find that your recovery between sets is really fast and that your rate of fatigue is significantly slower. This will allow you to do more reps and sets. BUT… it’s up to you to do those extra reps and sets to maximize your gains. If you hit the gym and always do the same weights, reps and sets all the time, you are not challenging your muscles enough to result in muscle growth and increased strength. NO PRODUCT will be able to help a person build muscle and strength faster who trains like this. Once you start taking ATP Extreme, we recommend you start doing 1-2 extra sets per exercise. This is the KEY to getting the fastest results possible from the product. Can ATP Extreme really help male sexual performance? There has never been a study to prove this. However, many of our customers have reported these benefits. Viagra is a vasodilator. ATP Extreme is also a vasodilator. In theory, any effective vasodilator has the potential to improve male sexual performance by increasing blood flow. To test this out for yourself, try taking 4 capsules 30-60 minutes before sexual activity and see what happens. We believe you will be pleasantly surprised. What ingredients are in ATP Extreme? How do I know that ATP Extreme is free of Banned Substances? We here at ATP Nutritionals realize that professional and high-level amateur athletes have serious concerns when it comes to supplements and doping issues. This is why we have our product independently tested and Certified Drug Free ® by one of the leaders in dietary supplement certification and testing services, Banned Substances Control Group (BSCG) located in Los Angeles, California. 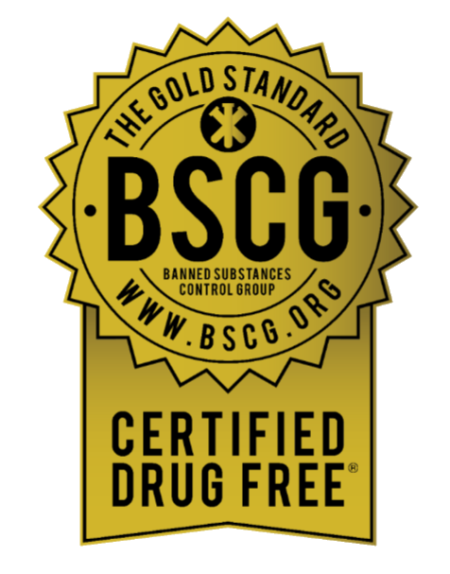 Products that are BSCG Certified Drug Free® have been certified to be free of banned substances on the World Anti-Doping Banned list at detection levels necessary to minimize drug-testing risks for athletes and other elite professionals and safety concerns for general consumers. Does ATP Extreme come with a Money Back Guarantee? ATP Extreme is backed by a 45 Day Unconditional Money Back Guarantee. You can use an entire bottle and return it for a full refund if you are not completely satisfied. Note: Shipping fees are not included in refund.